For fans of the legendary British post-new wave group—who managed to survive a good 20 years longer than most of their contemporaries, with the possible exception of REM—this news comes not so much as a shock but rather a grim confirmation of the end of an era. Yet, as Partridge continues, it becomes clear that, while XTC the band may be strictly a historical concern, XTC the brand is in the middle of one of its busiest years in quite some time. 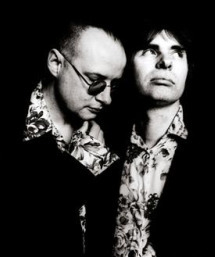 Since the departure of guitarist Dave Gregory in the spring of 1998, the band had been largely an in-name-only affair anyway, a team moniker shared by Partridge and Colin Moulding, who had long been the sole songwriters in the band. 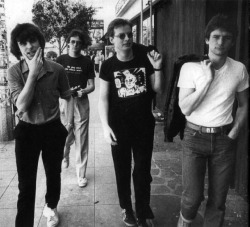 After leaving their long-standing, and some would say long-suffering, label, Virgin Records, at the dawn of the new millennium, the pair managed to turn out two more XTC records, Apple Venus Volume 1 and Wasp Star (Apple Venus Volume 2) on their own label, Idea Records. Continuing legal strife between the remaining duo and Virgin, however, has kept most of the band's back catalog on ice for the past decade. According to Partridge, however, most of XTC's Virgin Records releases will get proper reissues—possibly by year's end—with fan-friendly bonus tracks, liner notes, and remastering. It seems that, while Partridge remains engulfed in the flames of optimism, he's nonetheless wary of being burned yet again by what he feels has been a depressing history with his former corporate masters. News of the imminent XTC reissues was somewhat upstaged, however, by the recent release of two new self-reissues from XTC's psychedelic alter-ego group, the Dukes of Stratosphear, on Partridge's own Ape label. 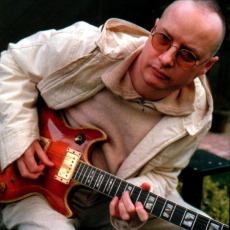 The Dukes grew, like much of XTC, out of Partridge's love of the records from his childhood in the '60s, a time of heavy experiments mixed with childish novelty songs. Partridge, in fact, makes no distinction between the two. Partridge cites a few key records as the genesis of the Dukes’ sound. The ominous intro of Pink Floyd's “See Emily Play”, the reverse throb of Tomorrow's “My White Bicycle”, and what he terms “the sonic murk mud mystery” of “We Are the Moles” by, of course, the Moles. The teenage Partridge was so captivated by these records that he assumed he would be in a psych band when he grew up. While the Dukes of Stratosphear trafficked in a predominantly British brand of psychedelia, songs like “You're My Drug” approach the sunshine splendor of Californian tripsters like the Byrds. Partridge, the aficionado, explains the differences between the strains. While the fictitious group's introductory EP 25 O'Clock (1985) and its full-length follow-up album Psonic Psunspot (1987) were previously reissued by Virgin in 2001 as a single CD entitled Chips from the Chocolate Fireball, the Ape reissues return them to two separate, remastered products. Partridge insists that, as a fan himself, it was “essential” to add such extras. Besides the value-added extra tracks, Partridge is most proud of the packaging for the re-releases, which now come in shiny, hardback, book-like gatefold jackets with detailed personal liner notes by Partridge and his erstwhile estranged bandmates. Gregory submits Stratosgear: How the Sounds Were Found (parts 1 & 2), Moulding and Partridge write about their memories of the sessions, while Partridge even adds notes about the cover art for each respective release. The band also sells a set of six lapel buttons from the Ape website. While Partridge says that the side project initially gave XTC “permission to be someone else,” the mind-expanding elements of the Dukes sound soon insinuated themselves into XTC proper. By the time XTC were working on Skylarking with Todd Rundgren, they had fully digested—or ingested—the Dukes into their bloodstream.